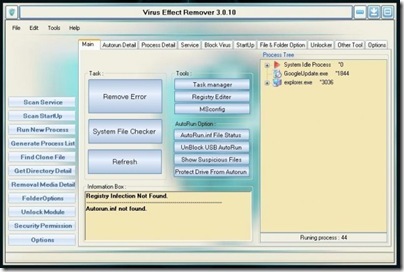 Virus infection is one such big issue for a layman computer user as it any virus infection may result in loss and corruption of importantdata. 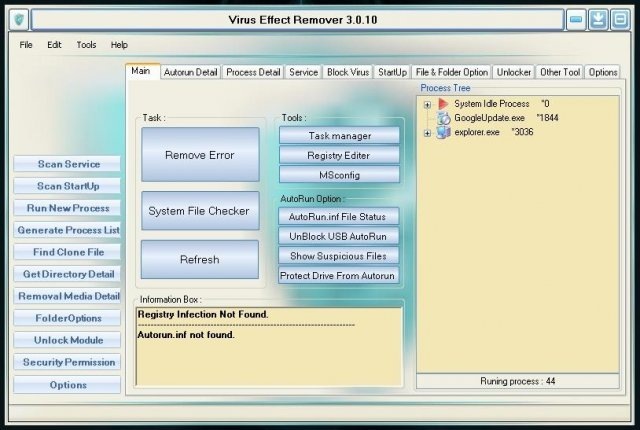 Even when a virus is removed form your computer by the antivirus installed on your computer the infections and other damages caused by the virus may still remain. The infections which remains after virus removal includes invisible folder options in windows explorer, task manager still disabled, registry editing disabled and some autorun.inf files created by the virus in the root drive of each partition. In this article we will share the methods to repair such damages.